There has been steady improvement in the survival of patients with acute lymphoblastic leukaemia over the past twenty years. This has mainly been due to the use of multiple drug maintenance chemotherapy given over a prolonged period and effective prevention of central nervous system (CNS) relapse. 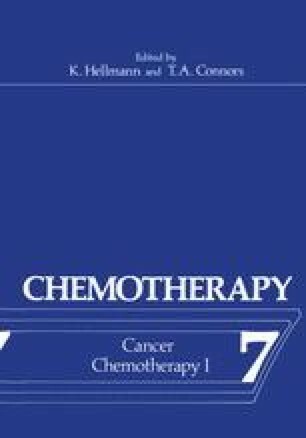 Pinkel and his group in Memphis made the break-through in prophylaxis against CNS leukaemia by the introduction of cranio-spinal irradiation(Pinkel et al, 1971). Subsequently, the British Medical Research Council carried out a trial of CNS irradiation (UKALL I) and confirmed the Memphis observations (MRC Leukaemia Committee Report, 1973). In this trial only one out of 75 patients who received CNS prophylaxis relapsed from CNS leukaemia while 26 out of 80 patients in the control group developed this complication. There was, however, a price to pay for this prophylactic treatment in that five of the CNS irradiation group died in complete remission while no remission deaths occurred in the non-irradiated group. The Members of the Working Party are as follows: Professor J.M. Hutchinson(Chairman), Professor R.M.Hardisty(Secretary), Dr.K.D. Bagshawe,Dr.J.M.Bridges, Professor Neville Butler, Dr.J.M.Chessells Dr.P.F.Deasy, Sir Richard Doll, Dr.P.M.Emerson, Dr.H.W.Everley Jones, Dr.D.I.K.Evans, Dr.D.M.J.,Gairdner, Dr. D.A.G.Galton, Dr.R.J. Guyer, Dr.C.B.Howarth, Dr. E.M.Innes, Dr.P.Morris Jones, Dr.H.E.M. Kay, Dr.T.J.McElwain, Dr.I.C.M.MacLennan, Dr.J.Martin, Professor I.C.S. Normand, Mr. P.G. Smith, Dr. J.Stuart, Dr. E. W.Thompson, Dr. M.L.N. Willoughby.